There's more to come from my all-time favorite brand, Bourjois. First is an addition to the Bio-Detox family, that already consists of a foundation & concealer, Bio-detox Organic Perfecting Powder. I've tested some samples of Bio Detox Foundation, but I didn't like it enough to buy it yet (I prefer to test foundations in summer), and plus, I want to check out the Healthy Mix Serum/Gel Foundation first and then decide which one to buy. I hope people who lol when I say I'm a sensible shopper are reading this. This powder is formulated with 100% natural ingredients. It mattifies the complexion, imperfections are erased, and pores are refined. Its ultra fine texture, micronized, guarantees a perfect and natural results with no thickness. Say whaaat??! Rotating Mascara?! 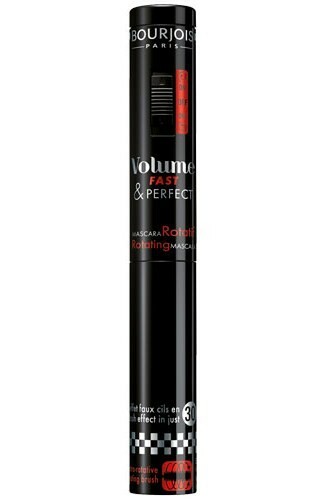 That's right, Bourjois Fast & Perfect Mascara is a self- rotating mascara that claims to give false lash effect in 30 seconds. Its high volume resistance formula respects sensitive eyes, contains natural waxes, a complex derivative of jojoba oil and vitamin E.
You don't have to say anything anymore, Bourjois. I'm already sold. Both times. Bourjois India better get these here fast! A big, fat WOW!!!!!!!!!!!!! This powder is something I'll be looking foraward to - so hi-tech and eco-friendly:) What's not to like:))The serum foundation is great, I reviewed it already, and I swear it's one of the best buys I've made recently. I also found the bio-detox foundation a bit thick and unpleasant but the healthy mix serum has nothing to do with it. haha this looks cool! i have the bio detox concealer and i quite like it. the mascara looks interesting! wowwwwwwwwww....i read that bourjous will launch serum/gel foundation and more in that range on ur blog....i just cant wait..ne idea when exactly???? and now this too......its simply woww..
btw i was also thinking of buying lotus serum...i am so eager to read your review...how do you find it so far? 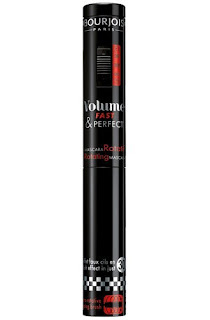 Rotating mascara? Wow that definitely sounds interesting! Thanks for sharing I will have to look out for this item at my local drug store. I so wanted to read a review on this bio detox powder before buying the same..thanks cynthia! !